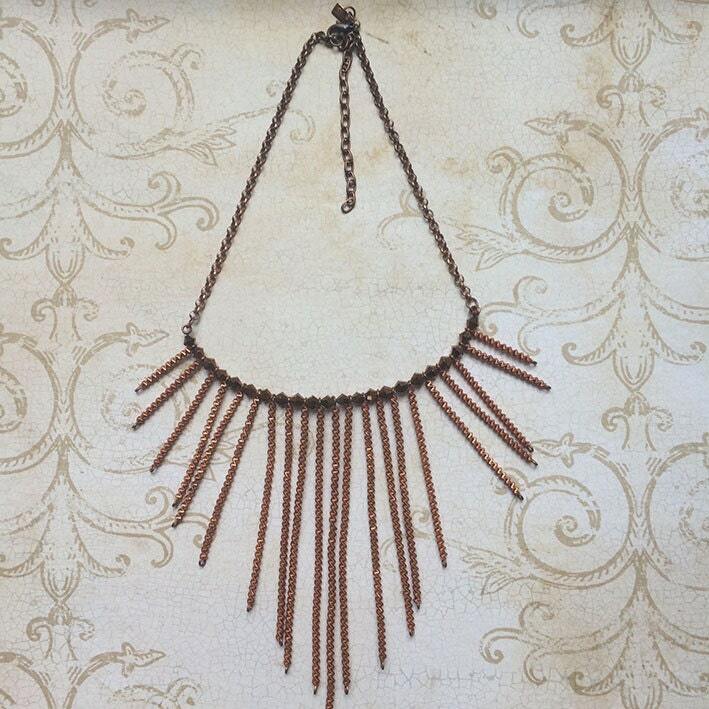 This copper necklace Reminds rays of autumn sun. 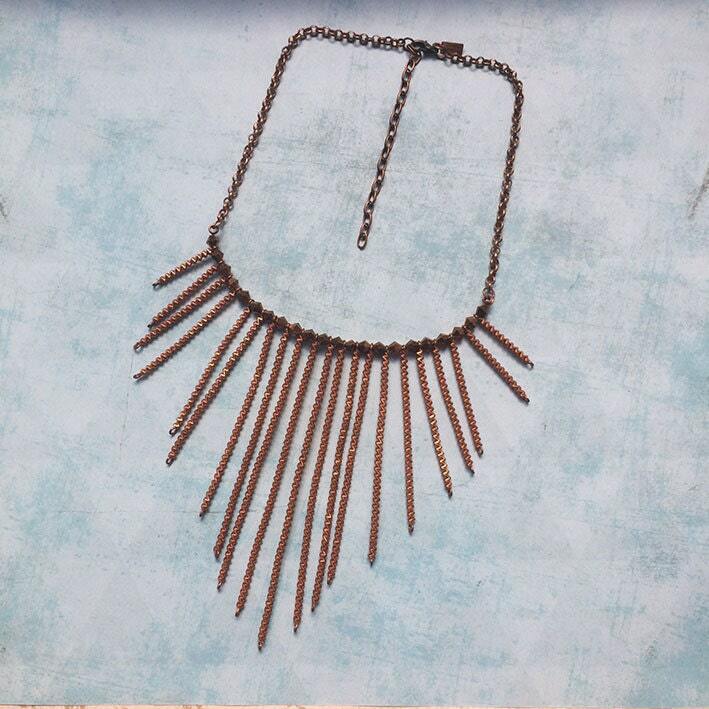 Very bright and very light. 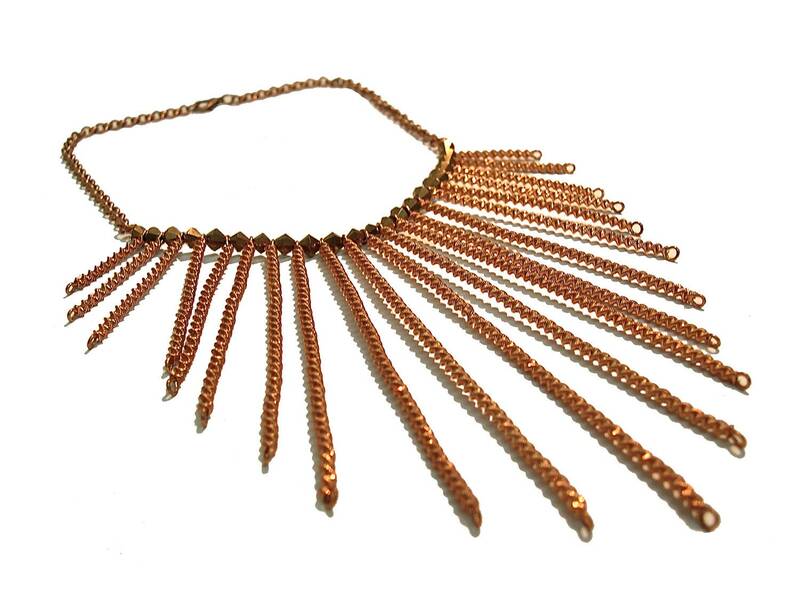 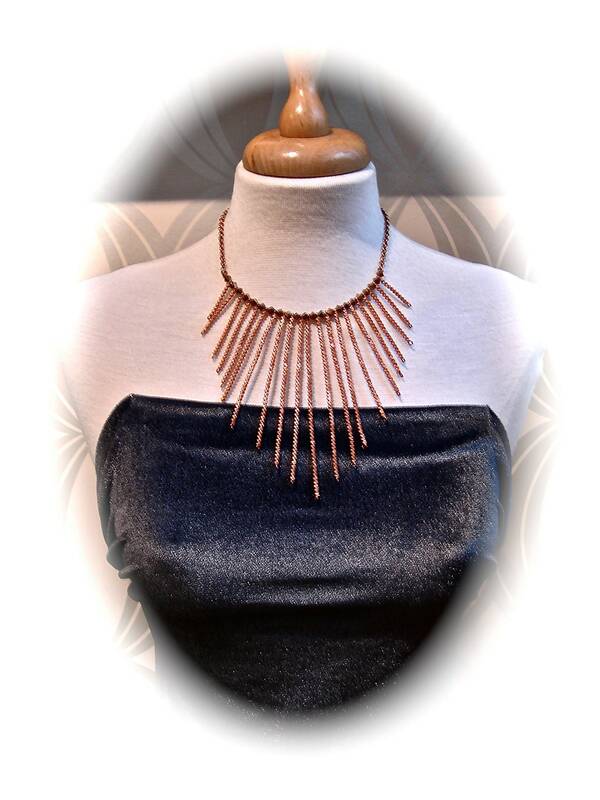 Copper Bib Necklace. 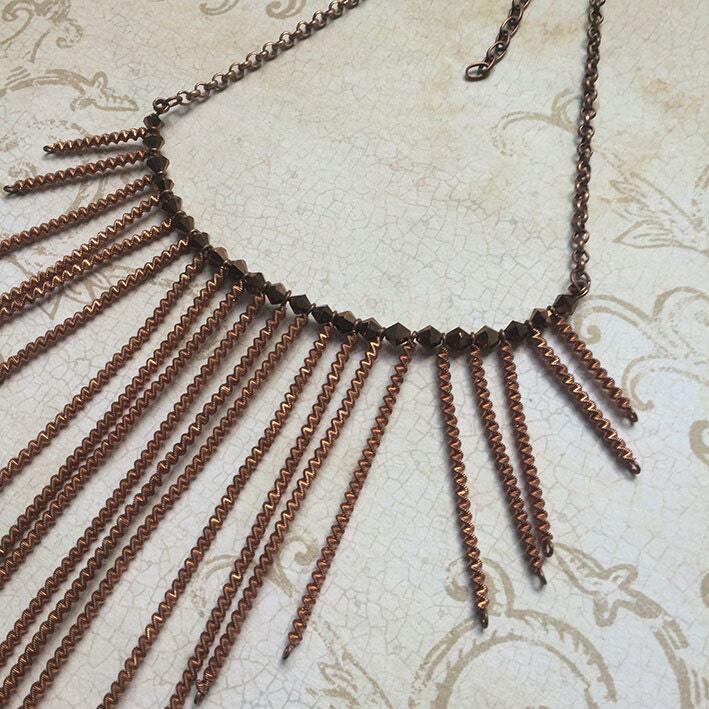 Faceted beads with copper finish.